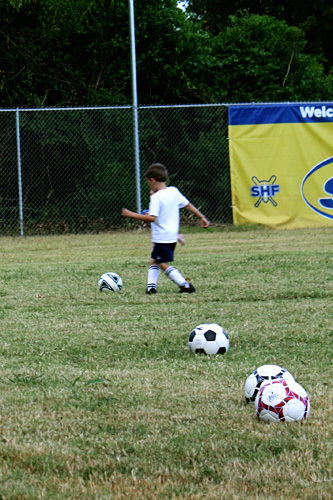 Nathan’s First Soccer Practice this Fall! 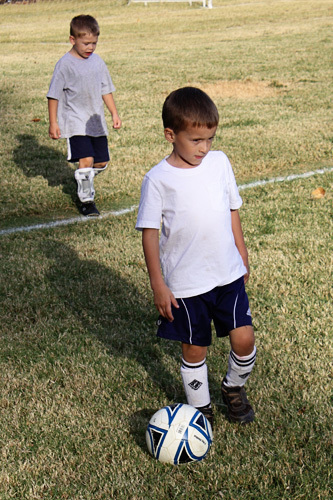 Nathan is really excited about soccer this year, he looks so serious in this picture! The boy behind him I was really wondering if he had pee’ed his pants! But, I was talking to his Mom (she brought it up, NOT me! ), that he constantly chews on his shirt when he is nervous. Its amazing how much he has matured in just one year! He did really good at practice today. 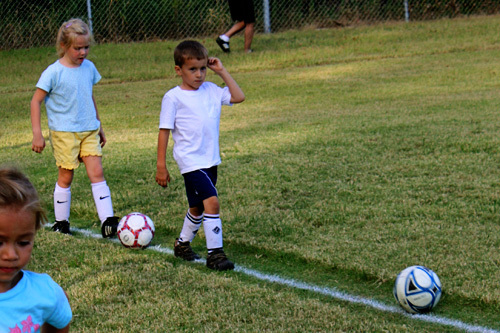 I think his favorite part was when he had to kick a ball back and forth between another teammate. 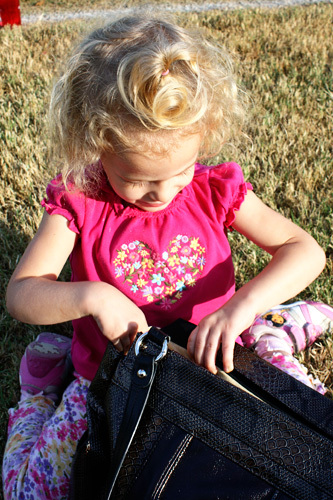 And, Autumn had fun digging in Mommy’s purse!